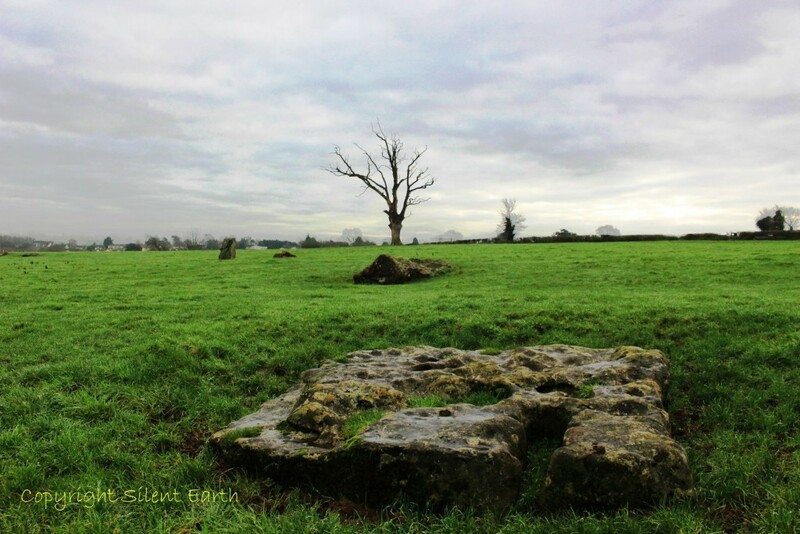 ‘Stanton Drew Stone Circles and Cove comprise a large regular stone circle (‘the Great Circle’), two large irregular stone circles, two associated stone avenues and ‘the Cove’ a closely spaced group of three standing stones. 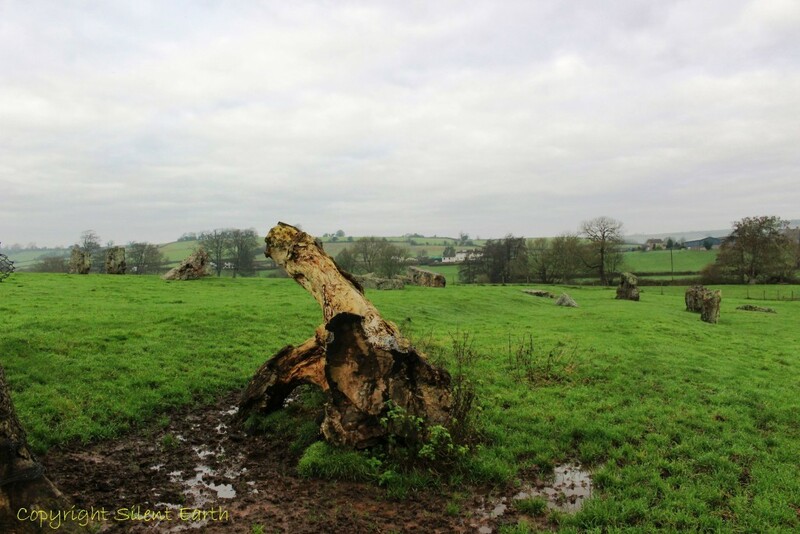 These Late Neolithic monuments are situated in close proximity, near to the village of Stanton Drew, overlooking the flood plain of the River Chew to the east. 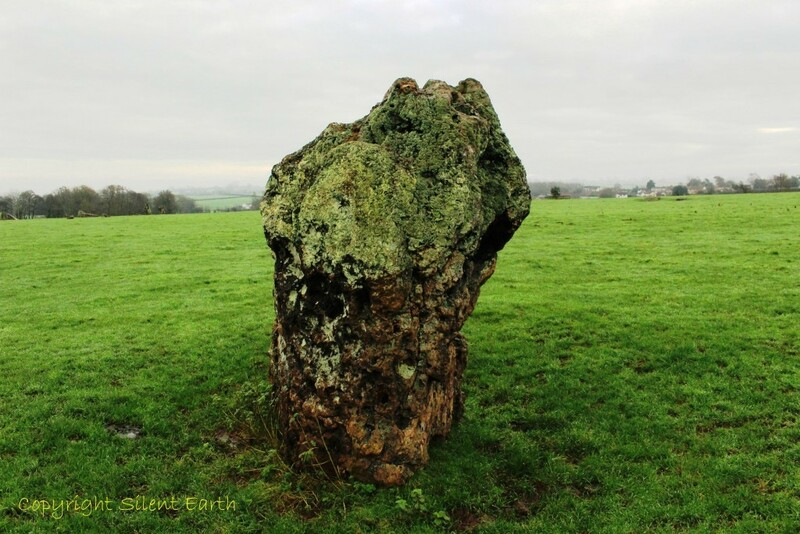 In addition, to the northeast, across the Chew on a high ridge, is a recumbent standing stone known as ‘the Outlier’ or ‘Hautville’s Quoit’. The proximity of these monuments to each other, and alignments between them, indicate that these sites are possibly related as a single complex.’ – Historic England Pastscape, more here. My first impressions of the site were of overwhelming silence, a pristine landscape ‘far from the madding crowd’ and a feeling of spacious insularity. Grinsell in 1956 observed ‘It is ironical that this great site, once so vital, now seems disappointingly unobtrusive, its very spaciousness reducing the impression it makes.’ Due to the isolation of the site and encroachment of 21st century ‘civilisation’, much remains of its unique character. 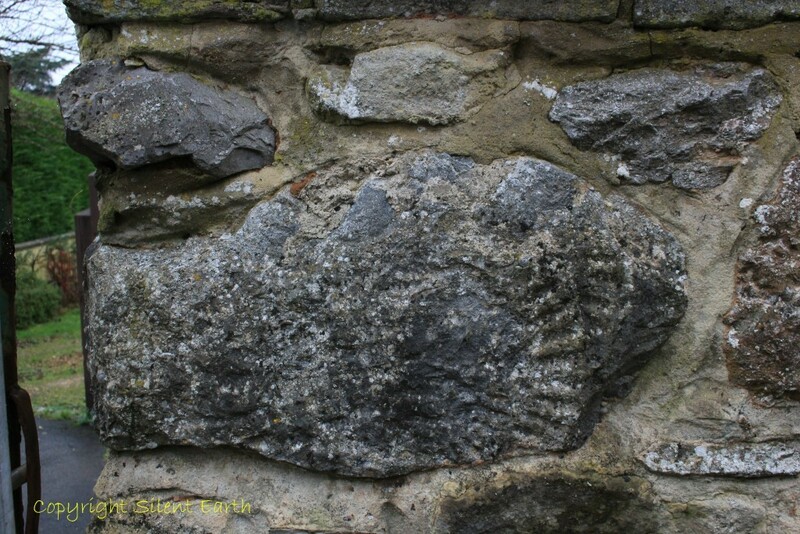 On the wall to the left by the honesty box at the entrance is a little known fossil that has been incorporated into the wall. Thank you to Pete Glastonbury for informing me of this feature. John Aubrey visited Stanton Drew in 1664 and wrote in his diary ‘At Stanton Drew in Somersetshire (about a mile from Pensford) behind the mannoure house is an ancient monument which the vulgar do call ‘The wedding’. All the account they can give of it is this tradition of that a Bride goeing to be married, she and the rest of the company were metamorphis’d into the rude stones: but whether it were true or no they told me they can not tell. I know that some will nauseate these old fables: but I doe profess to regard them as the most considerable pieces of observable Antiquity, I collect and that they are regurgitated for posterity.’ He also observed ‘was not Lot’s wife turned into a pillar of salt’ (Genesis 19:26), but subsequently crossed out this sentence. 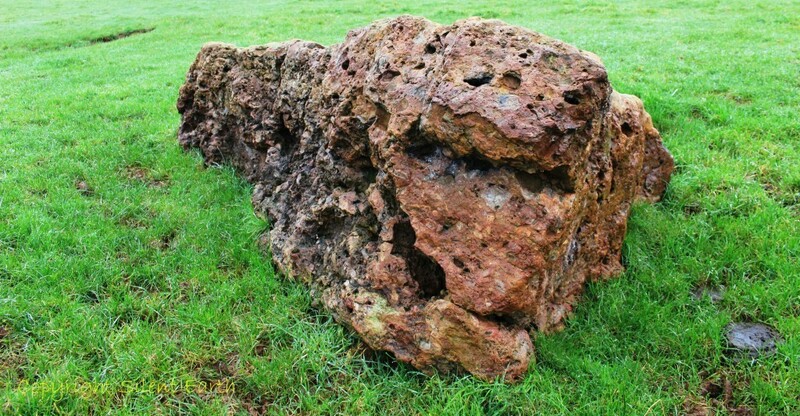 ‘No one, say the country people about Stanton Drew, was ever able to reckon the number of the metamorphosed stones, or to take a draft of them, tho’ several have attempted to do both, and proceeded until they were either struck dead upon the spot, or with such an illness as soon carried them off.’ – John Wood, A Particular Description of Bath Vol I (1750). ‘Recent surveys carried out here have yielded dramatic results, and helped to clarify our understanding of the site. In 1997 English Heritage initiated a geophysical survey of the large field that contains the Great Circle and northeast circle. The survey used magnetometry, a non-invasive technique which picks up magnetic anomalies in the ground to indicate the presence of buried features such as pits, ditches and hearths. The survey results were astonishing. At a stroke, they demonstrated that the remains at Stanton Drew are just the ruin of a much more elaborate and important site than had previously been imagined. Lying under the pasture within the Great Circle are the remains of a complex pattern of buried pits, arranged in nine concentric rings within the stone circle, and further pits at the centre. It is difficult to make out individual features, but the pits seem to be about a metre or more across and spaced about a metre apart around the outer circle. Just as remarkable was the discovery that the Great Circle is itself contained within a very large enclosure ditch, about 135 metres (440 feet) in diameter. This is about 7 metres (23 feet) wide with a broad gap or entrance facing northeast. Such enclosures, or henges, are a well-known feature of later Neolithic Britain, and are assumed to have been centres of ritual activity. Several henges enclose stone circles, and some feature rings of pits. 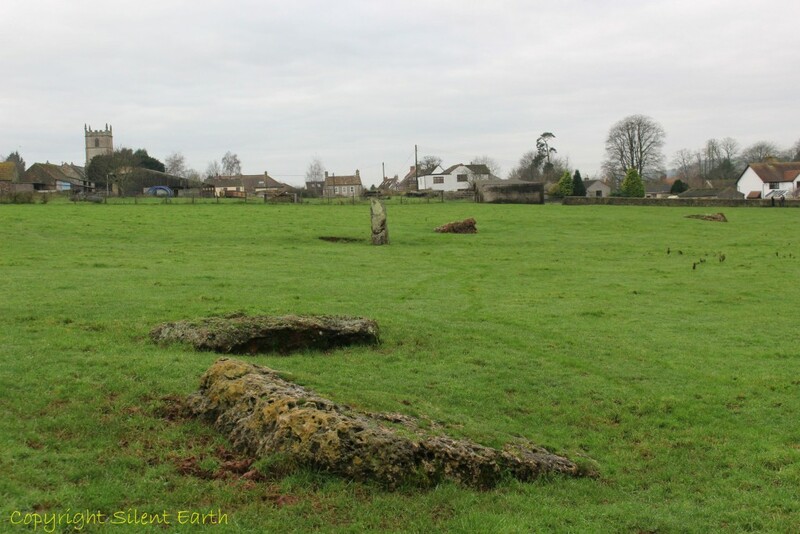 Sites that most resemble the patterns emerging at Stanton Drew include Woodhenge and Durrington Walls in Wiltshire. At these and other sites the pits are known to have held timber uprights, although it is not clear whether these were part of roofed or open structures. 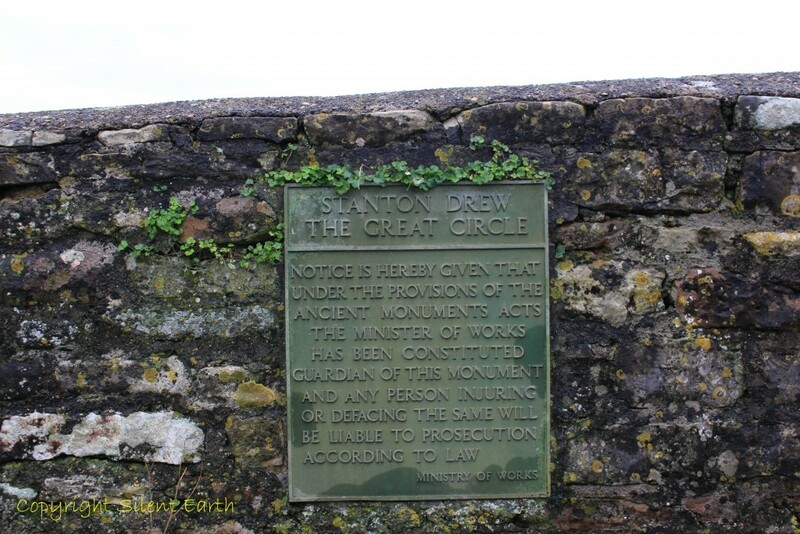 It seems likely that at least some of the pit circles at Stanton Drew once held massive posts. 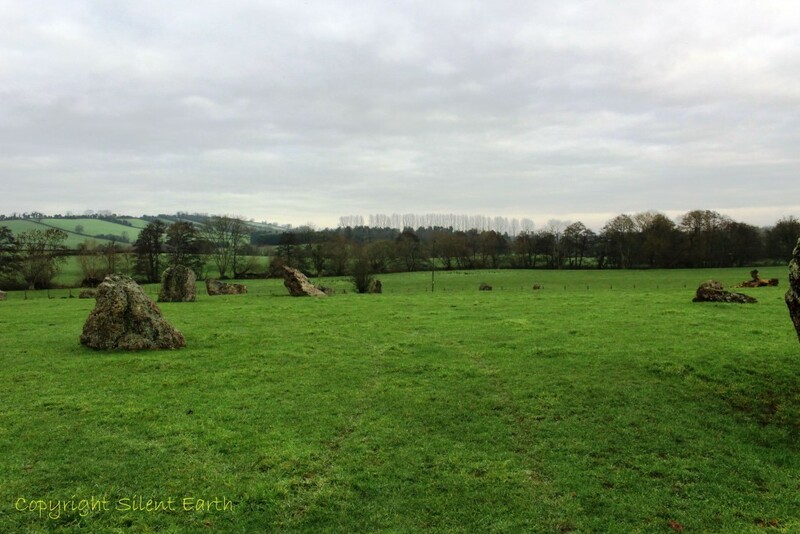 The circles are the largest and most numerous yet recorded at any site and surely indicate the investment of immense effort and enterprise in the service of prehistoric beliefs’ – English Heritage, more here. 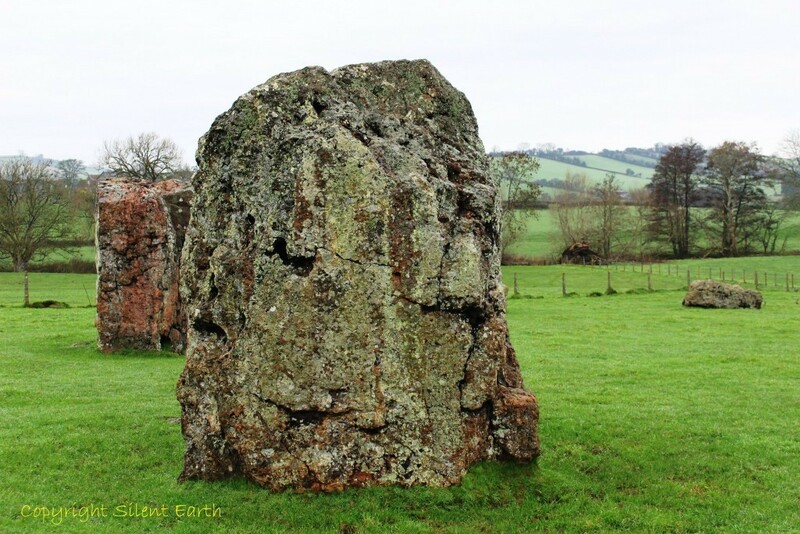 The Stones of Stanton Drew. 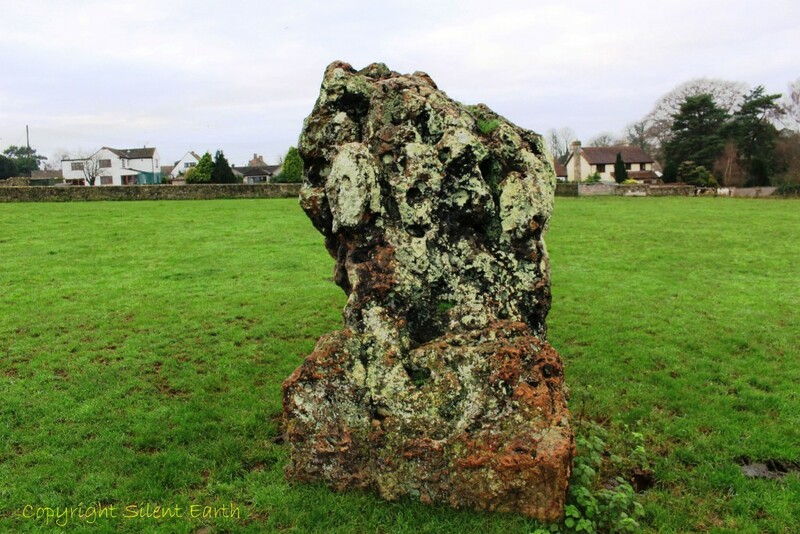 O Stones of Stanton Drew? 2010 Geophysical survey and other archaeological investigations here. 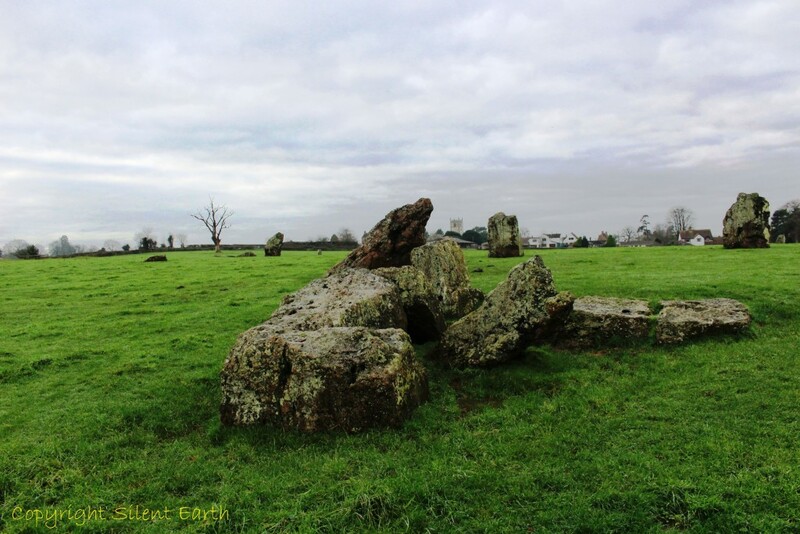 Hautville’s Quoit and other archaeological investigations at Stanton Drew, 2012 here. Thank you to my guide to the site on 13 December 2015, for taking time out to show me around.